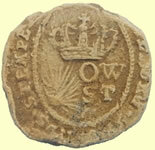 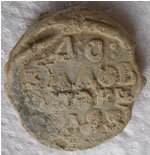 Lead seals such as cloth seals and bale seals were widely used in Europe between the 13th and 19th centuries as a means of identification and as a component of regulation and quality control. 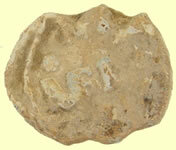 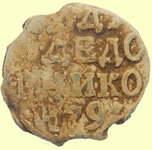 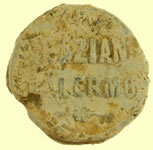 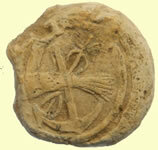 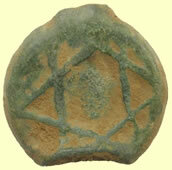 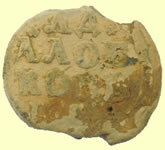 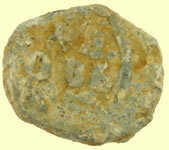 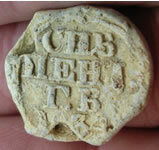 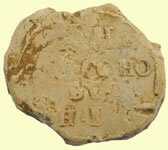 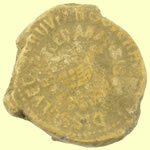 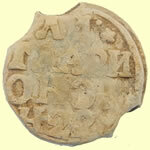 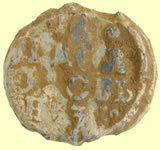 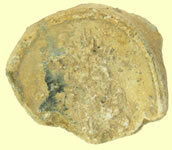 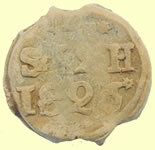 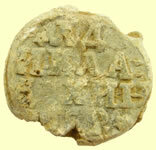 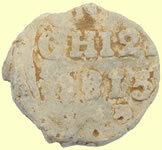 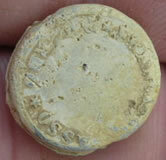 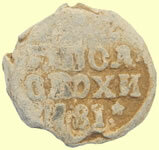 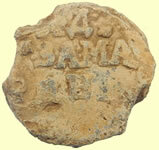 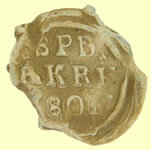 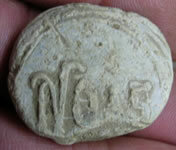 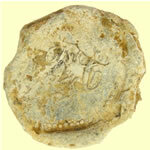 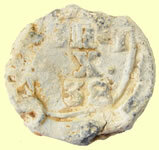 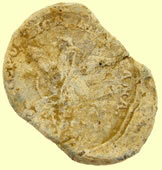 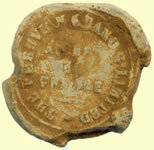 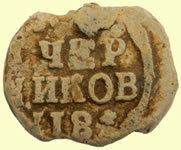 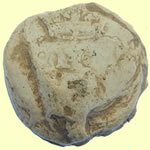 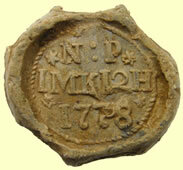 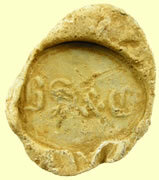 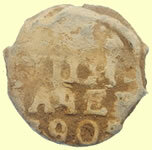 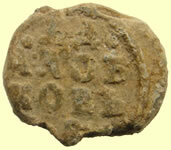 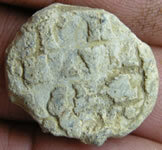 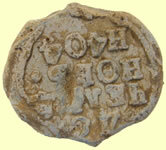 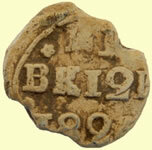 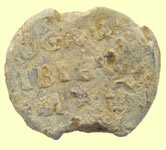 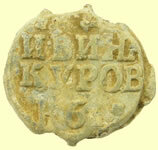 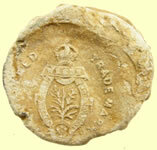 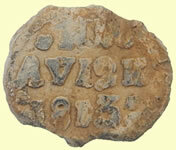 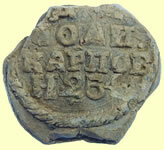 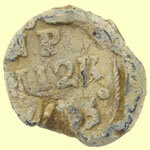 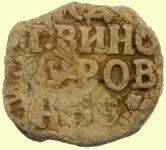 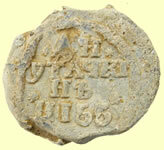 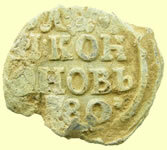 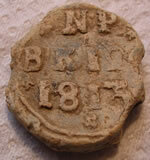 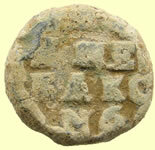 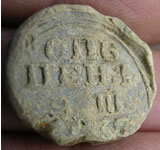 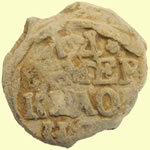 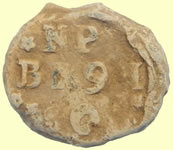 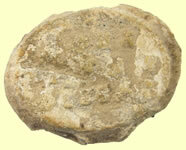 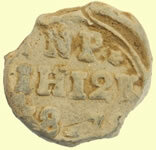 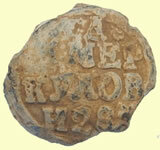 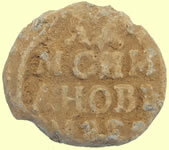 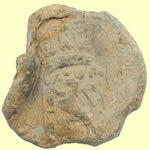 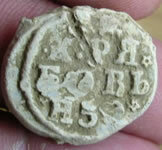 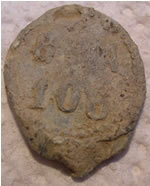 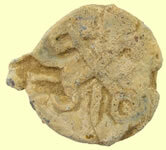 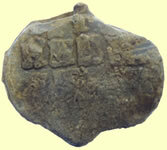 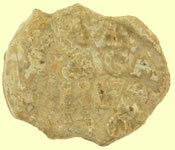 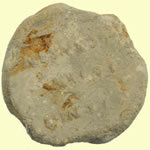 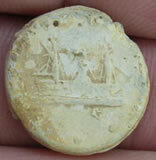 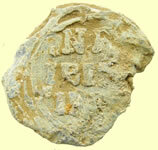 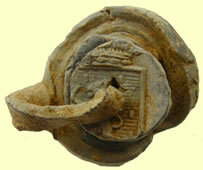 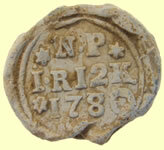 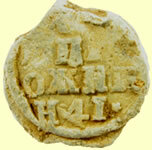 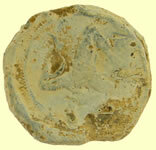 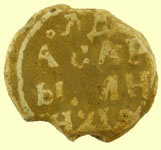 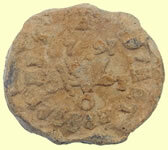 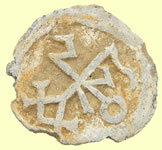 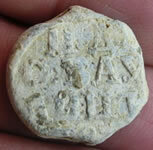 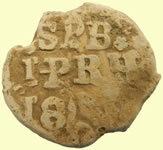 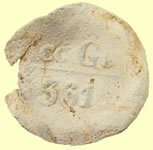 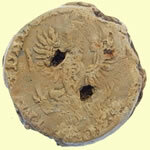 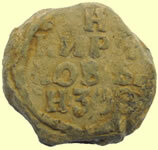 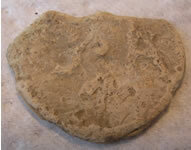 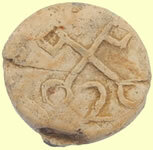 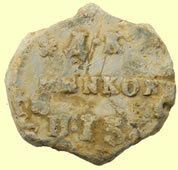 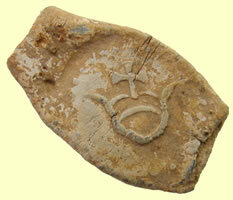 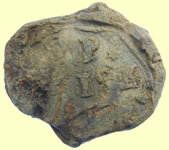 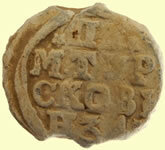 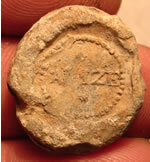 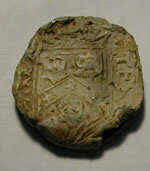 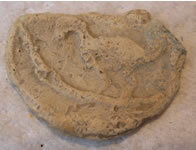 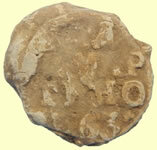 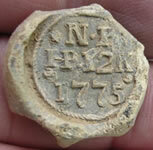 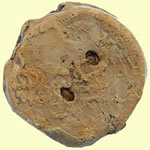 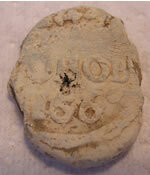 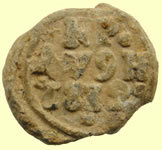 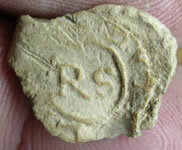 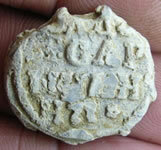 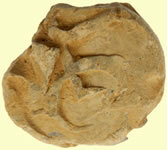 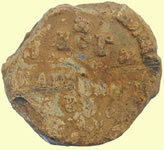 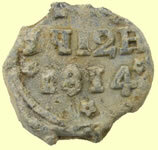 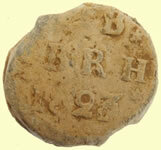 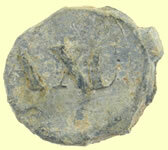 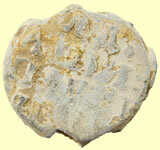 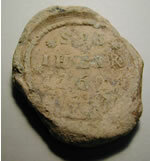 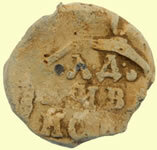 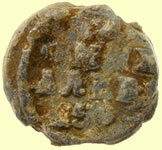 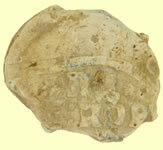 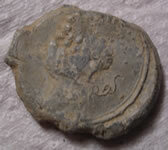 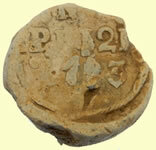 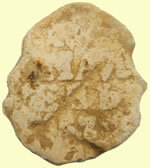 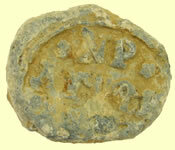 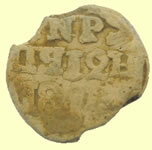 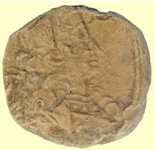 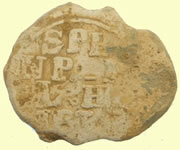 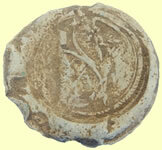 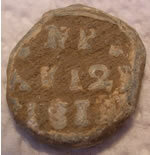 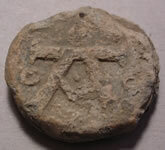 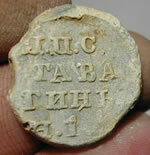 Cloth seals appear to be the most thoroughly documented type of seal. 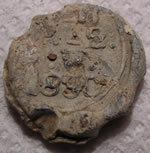 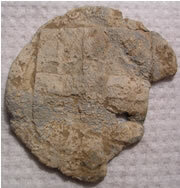 Cloth seals were typically two disc seals joined by a connecting strip. 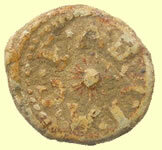 These were intended to be folded around each side of a textile and stamped closed, in a manner similar to that in which coins were stamped. 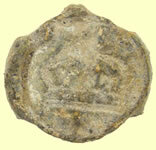 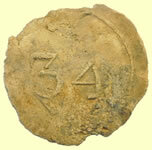 Bale seals such were single disc seals, rather than two disc seals, and were also used to identify textiles, as well as parcels and bales of trade goods. 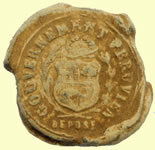 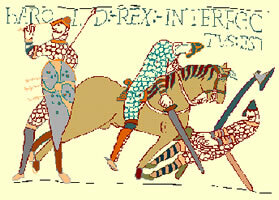 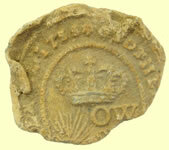 The obverse would typically display a city's arms, and the reverse would record data such as the length or width of fabric or the weight of a parcel. 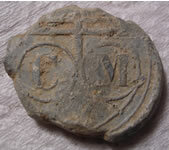 Sack/ Bale and Cloth seals are fascinating artefacts and I am trying to amass as much information and history on them as on I can. 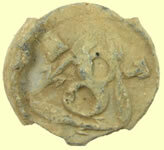 They are a badly overlooked area by most Archeologists so if you have any information on the seals displayed here please drop me an e-mail and I will include it on my site. 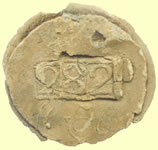 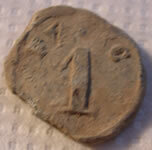 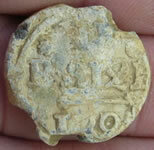 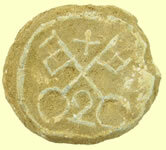 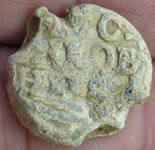 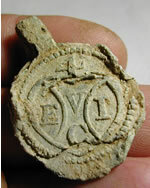 The Arabic number 20 located on the reverse of a lead seal refers to the length of fabric measured in Dutch els. 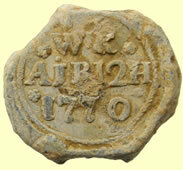 As explained by Mr. Wiard Krook, Amsterdam Department of Archeology: "From the official regulations of the city of Leiden, we know that one full woolen laken (in 17th Century Dutch spelled as "laeken" or "laecken", meaning one uncut length of woven woolen fabric packed and folded to a bundle), should measure 40 Leidse (or old Dutch) el in total. 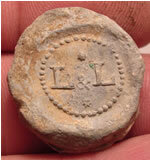 So a half laken should be 20 el long. 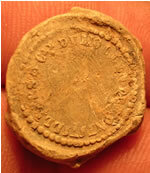 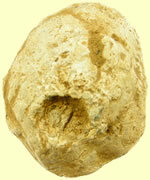 Before it was released for selling it was officially measured and the final length indicated on a lead seal. 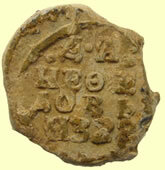 One Leidse el is converted to 69 centimeters, making one full laken 27.6 meter and one half laken 13.8 meter. 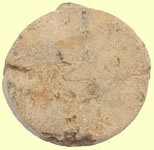 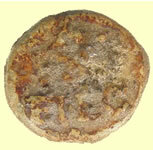 The width of a laken from Leiden was between 1 el (69 cm) and 3 3/4 el. 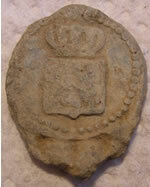 Huge lead Medieval document seal with shield design ? 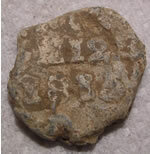 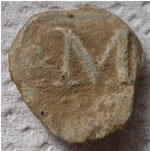 Post medieval lead seal ?